Low-cal additives are finding a place in pollution control — even as scientists dig into whether they are pollutants in their own right. October 17, 2017 — Artificial sweeteners pop up in products all over the grocery store, from diet soda to yogurt, to help people keep calories down and pounds off. It turns out their popularity has given artificial sweeteners — sucralose in particular — a purpose beyond helping with weight or carb control. Sucralose, and to some extent acesulfame, may also play a role in keeping water contamination down by helping researchers and water resource managers identify hot spots of pollutants in order to better manage them. Sucralose is increasingly being used as what experts call a “tracer” — a substance that can help identify where contamination comes from. This ability is important for maintaining water quality, both in surface waters and in drinking water supplies. The concept of a tracer is not new: Other substances, mainly caffeine and certain pharmaceuticals — all of which are used in sufficient quantities that experts say they are ubiquitous in domestic wastewater — have been used to identify water that has made the trek down the drain. But sucralose — the main ingredient in Splenda and found in a variety of other products, including some protein bars and sugar-free candy — is coming out ahead of those because it is so stable. Researchers like using it because it doesn’t degrade easily, in either the environment or a water treatment plant. If water quality managers detect sucralose in a river, for example, they can use it as a red flag that some amount of wastewater is present. That means sucralose enters a wastewater treatment plant with raw sewage and leaves with treated water being discharged to the environment. It’s virtually impossible to test for every contaminant that could be in wastewater — but if water quality managers detect sucralose in a river, for example, they can use it as a red flag that some amount of wastewater is present. They can then take a closer look to see what other contaminants might also be present and possibly jeopardizing the health of the river. “Every bead of domestic wastewater — whether it’s treated, partially treated or fully treated, with very few exceptions — it introduces sucralose wherever it’s released. So it’s almost a perfect way to trace domestic wastewater,” says Gardinali. He says he’s noticing more agencies around the country and the world using the tracking strategy in their water quality programs. The Metropolitan Water District of Southern California, for example, which serves the Los Angeles area, monitors its water for sucralose — to reveal the presence of treated wastewater — once a year, according to Stuart Krasner, the district’s principal environmental specialist. Sucralose has been used for similar purposes elsewhere in the U.S. and across Europe, and Henry Briceño, also a professor at Florida International University, says he is working with the U.S. National Oceanic and Atmospheric Administration to apply it to assessing the impacts of Hurricane Irma. Briceño has found that sucralose can potentially be used not just as a tracer — which flags a potential problem — but also as an indicator, which means it can help to determine the extent of the problem. He’s presented research findings based on several analyses he’s done that suggest once sucralose levels in a body of water rise above 57 parts per trillion, it’s an indicator that the water is experiencing some level of human impact and the onset of eutrophication — nutrient loading that can encourage plant growth and suffocate animal life. The extent of damage, he says, is deemed significant when levels exceed 150 parts per trillion. While water resource managers say sucralose in the water appears to have little or no negative environmental impact, some researchers point to the lack of extensive research to back that up. There has so far been little apparent threat reported to aquatic organisms, but in reviews of existing research, University of South Carolina chemistry professor Susan Richardson highlighted studies that have found at least potential impacts for some animals, including on their behavior and physiology. One study, for example, found that sucralose exposure altered the movement of crustaceans and the swimming speed and height of water fleas. Researchers earlier this year reported finding an association between sucralose exposure and oxidative stress in carp. Even less well-studied may be the effects of the compounds that form when sucralose does break down.A bigger concern is that sucralose concentrations will only increase, and it’s unclear what that will mean for ecosystems. Even less well-studied may be the effects of the compounds that form when sucralose does break down, which occurs to some extent despite how stable it is. One study found that these compounds could affect aquatic ecosystems by interfering with photosynthesis or sugar transport in plants, for example; it also found that the by-products of acesulfame, another artificial sweetener that has also been used as a tracer but may be less stable in the environment, may have greater ecosystem impacts. The authors of that study also proposed a technique wastewater treatment plants could use to minimize the formation of these by-products if they do prove problematic. It’s still unclear what, if any, the larger benefits could be from using sucralose as a tracer or indicator. 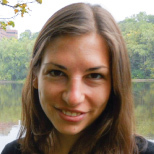 Krasner has studied the potential of sucralose to help detect the risk of disinfection by-products forming at drinking water purification plants. Disinfection by-products are potentially toxic compounds that form when disinfection agents used to treat drinking water react with compounds in the water — which can come from a number of sources, including treated wastewater. Krasner has discussed the potential for using sucralose to determine the risk of, and ultimately prevent, formation of disinfection by-products with the U.S. Environmental Protection Agency, which is currently reviewing its rule for managing these compounds in water supplies. Briceño says he hopes that where appropriate, the data that sucralose helps to provide can ultimately influence policy. He has a project underway studying the relationship between the health of corals off the coast of Florida with concentrations of certain bacteria present in wastewater discharge, which he’s using sucralose to help detect.